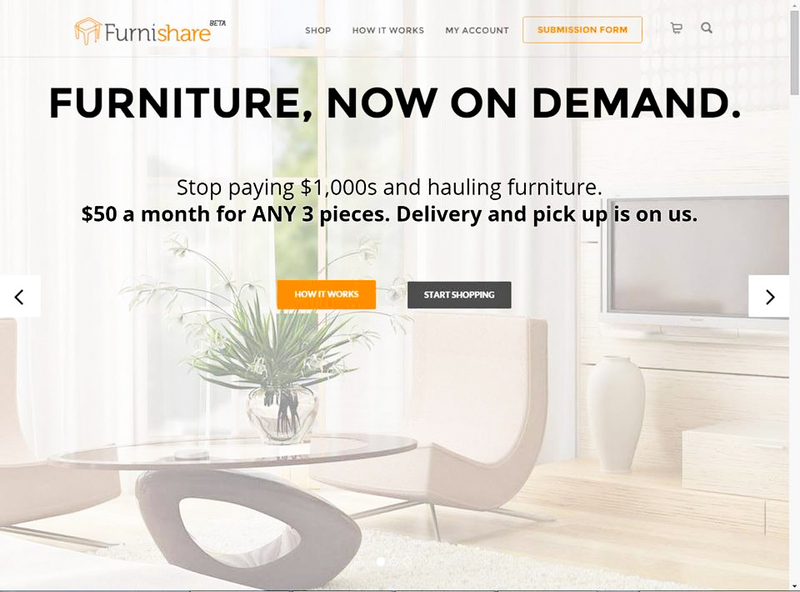 Alpay Koralturk ’08 believes his furniture sharing startup, Furnishare, is the solution to the inconvenience, cost, and waste associated with moving furniture. The rental service allows customers to select three brand name, professionally-cleaned pieces with free delivery at an affordable, monthly subscription. “We really believe that we have a solution here that’s going to make a change in the way people think about furniture and leaving a footprint on the environment,” Koralturk said. After graduating from the University as a triple major in mathematics, economics, and computer science, Koralturk moved to New York to work on Wall Street for two years before realizing he wanted to accomplish something more meaningful with his life. “I wasn’t very fulfilled with what I was doing and if I stayed there I realized I would make a lot of money, but I didn’t want to because I wanted to be happy and I wanted to feel like I was contributing to society,” Koralturk said. He decided to return home to Turkey where he co-founded a gaming company before coming back to the United States to launch the Furnishare startup. While first in New York, the wheels started turning for innovation as he moved five times in the course of four years. While this might seem excessive, he noted, the median rental period in New York is zero to three years. The experience made him realize how expensive and time-consuming it is to move furniture, which ultimately might not even fit into the new space. Furthermore, he added that as people move around the city, countless pieces are left out on the streets and usually end up rotting away in landfills. Furniture is about a $100 billion industry, and according to the EPA, 11 million tons of furniture are wasted every year, making it the number one least-recycled household item. Realizing the inconvenience, cost of moving, and the terrible toll on the environment, the pieces came together and Koralturk launched Furnishare in October 2014 to resolve these problems. The company started operating in January 2015 and is off to a promising start with consistent growth over the last three months. The service is currently available only in New York City, but Koralturk hopes to expand by the end of the year. The company’s mission statement also emphasizes their goals, while adding that they do all the heavy lifting while creating a shared home economy. After graduating from the University, Chloe Holden ’15 moved into a New York apartment with three friends and decided to try Furnishare. She splits the monthly cost of $59 with three friends to furnish the home with two couches and a coffee table. In the hectic transition from college to adult city life, Koralturk and Holden agree that Furnishare is a sensible and environmentally-conscious option. University students moving to New York are eligible to get the first month free in a 12-month subscription by registering with their Wesleyan email address and using the coupon code: “Wesleyan”.